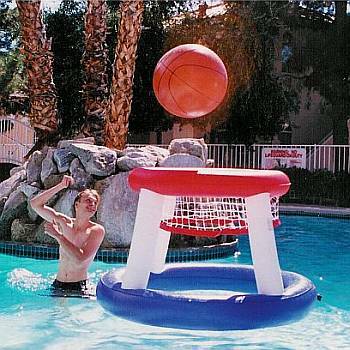 BackyardCityPools.com brings you Swimming Pool Games and Swimming Pool Toys for the young and young at heart. 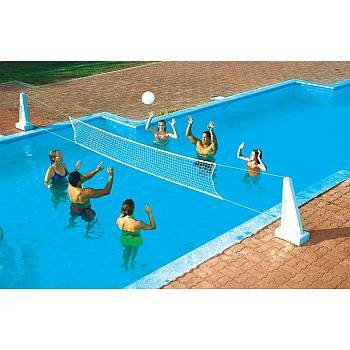 We offer a wide variety of Water Volleyball and Basketball Games. 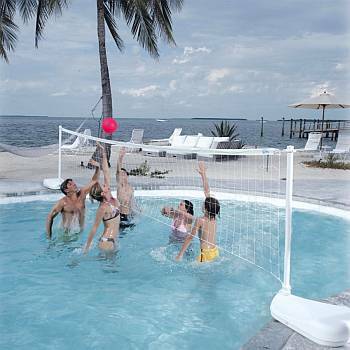 You can purchase our popular combo set which combines your two favorite games - volleyball and basketball - with minimum set up. 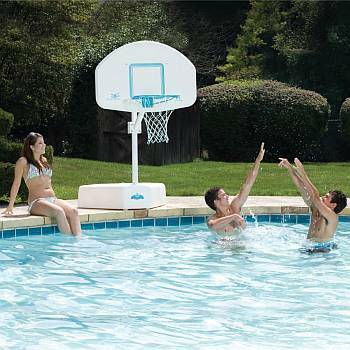 There are several pool basketball games available so your friends and family can hone their skills and become the next swimming basketball hall of famer. 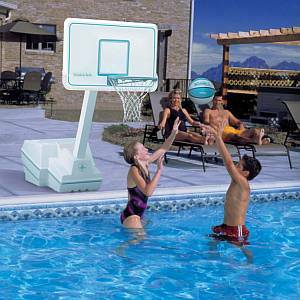 These games are easy on the joints and are great aerobic exercise; they also let you enjoy swimming in a fun variety of ways. 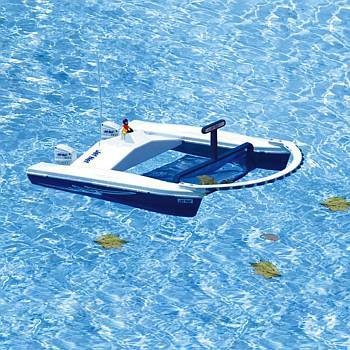 We have just recently added the Remote Control Skimmer to make cleaning the surface of your water more enjoyable than ever. 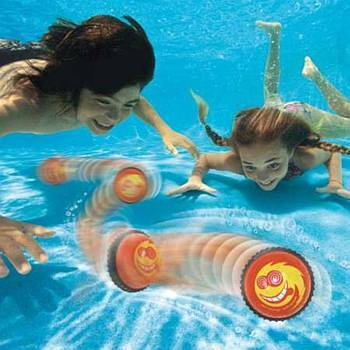 Your kids will not even realize they are helping you keep your water clean and clear while they guide this unique remote control toy boat back and forth across the top of your water snagging up leaves and debris before it has a chance to sink to the bottom. 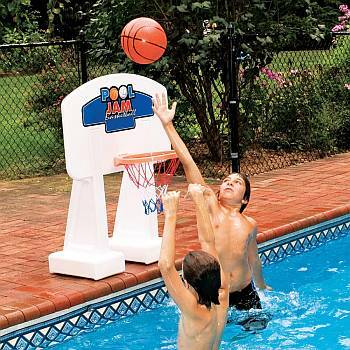 What better way to cool off than with old fashion Water Gun Toys. 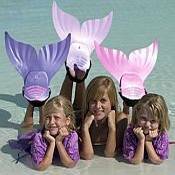 When the weather gets hot and you need to cool down, choose from a large selection of our Squirting Floats, Toy Squirt Guns, and Water Launchers. 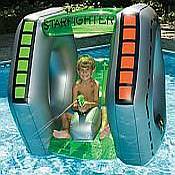 Wage your own backyard pool war with inflatable pool toys like our Starship Fighter, Spaceship Float, or a variety of single or double barrel water launcher toys. 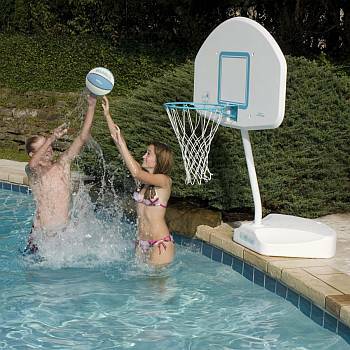 Rev up the summer and your backyard fun with new toys, basketball or volleyball sets, and your backyard will be the most popular and enjoyable in the neighborhood. 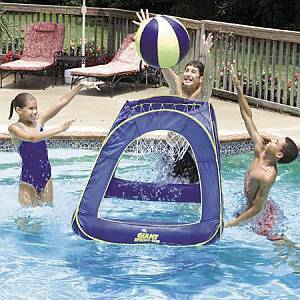 Read more about Pool Toys and Swimming Pool Games in this informative article. 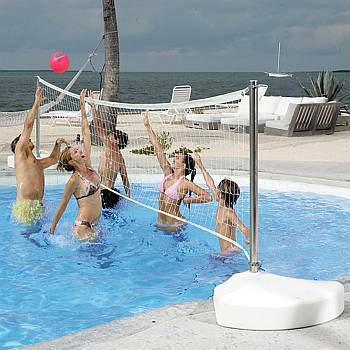 Visit our Blog to learn more about Fun in the Pool, and find helpful information on Swimming Pool and Spa Equipment, Maintenance, and Safety.